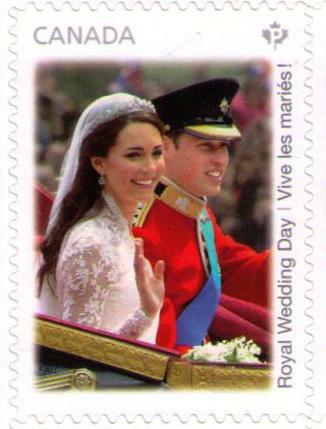 On June 22, 2011, Canada Post issued its third stamp commemorating the wedding of Prince William and Ms. Kate Middleton. The first release was the subject of an earlier post. 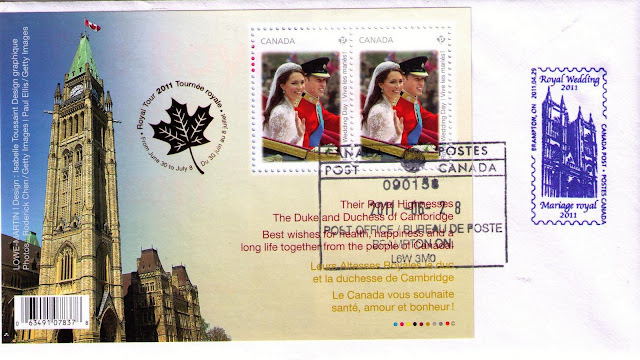 The Canada Post "Official" first day cancellation is dated June 22, 2011. 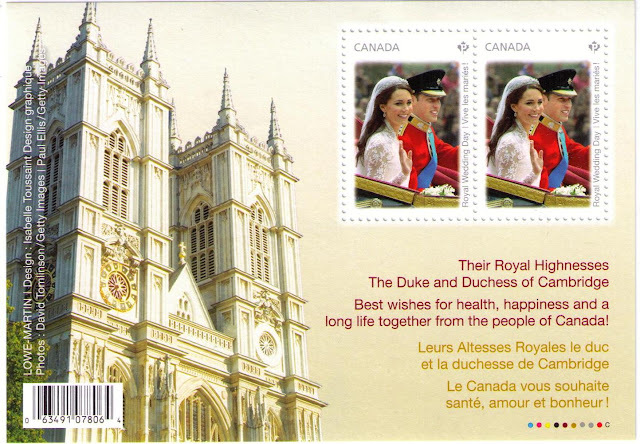 The stamps could not be purchased at post offices on that date because Canada Post had shut out its employees in response to a legal strike. 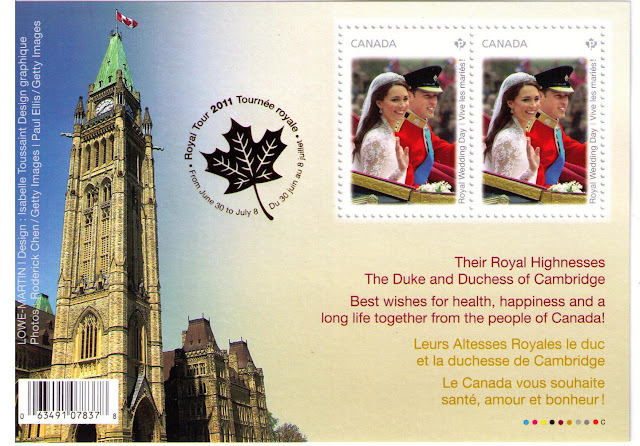 The government legislated an end to the dispute and post offices were re-opened on June 28. 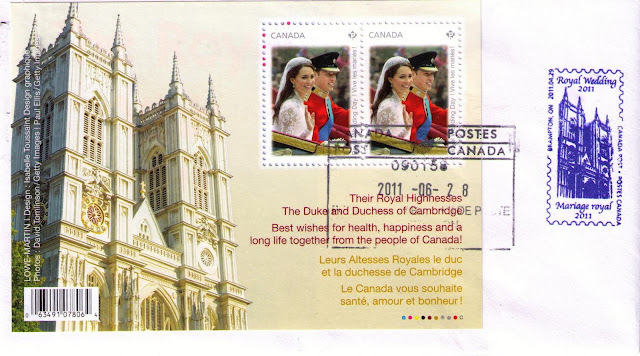 The covers shown below were cancelled on the first day this writer was able to obtain the stamps. 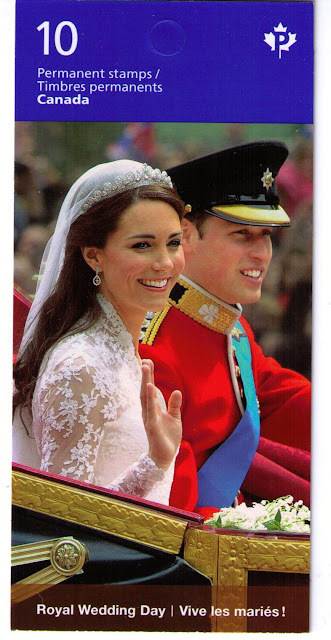 A souvenir sheet was issued to celebrate the Royal Tour of the Duke and Duchess of Cambridge to Canada, June 30 to July 8, 2011. 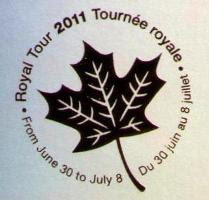 The author thanks the Canada Post employees for their courteous assistance.